Standard - $21.99 Only 2 left! Sometimes people call you a chicken. You are never really sure why. You try to be as brave as you can, even when you are afraid. Especially when you are afraid. It's not like you have a lot of fears. Spiders, and heights, like any normal person. And, you try to stand up for people who are being bullied. Help those who need help. So, why do people keep calling you a chicken? We're not quite sure why, you seem like a decent enough fellow. If you can't understand it, why not just embrace it? 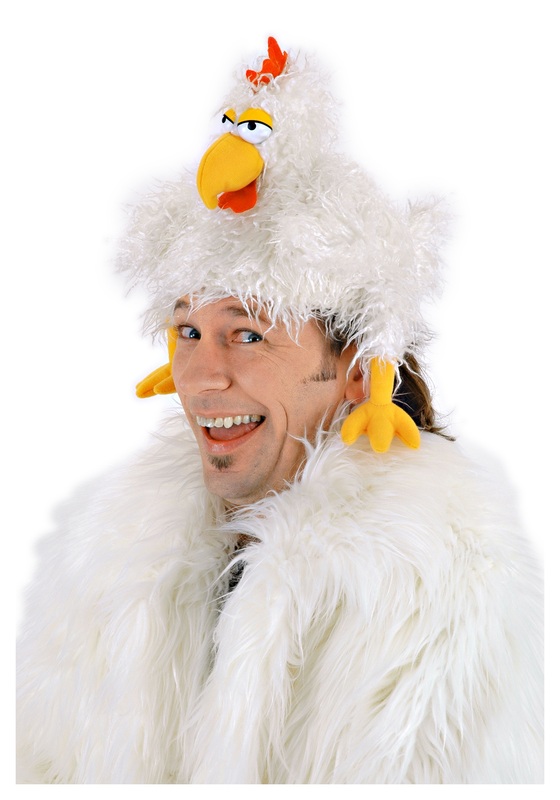 Everyone will know how truly fearless you are when you place this Clucker Hat on your head. Then when people call you a chicken you know they can't possibly mean you, rather, they are addressing your hat. And, the silly feathered chicken with a cartoon-y face on your head will make people chuckle with joy at the sight. So, cluck on friend. Cluck on.